Sprout Social vs. Kontentino: Which tool is better for you? 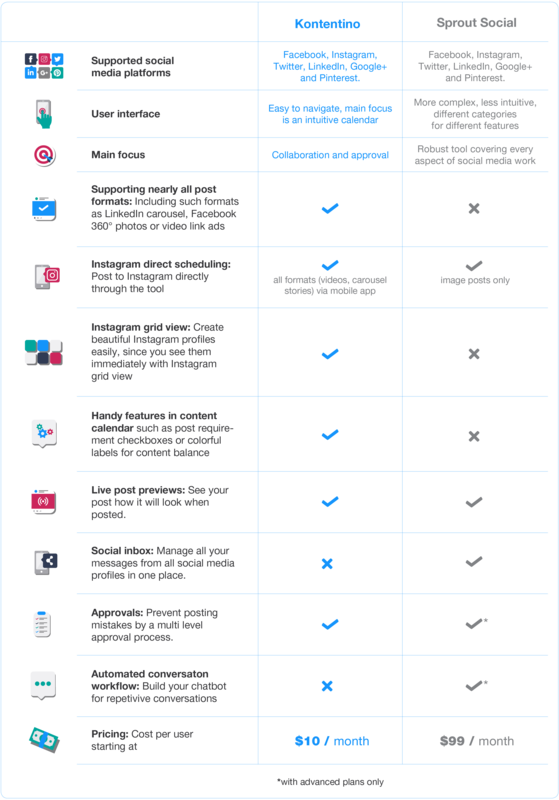 We’re bringing you another part of our guide to help you decide which social media tool is best for you. There’s just so many choices! 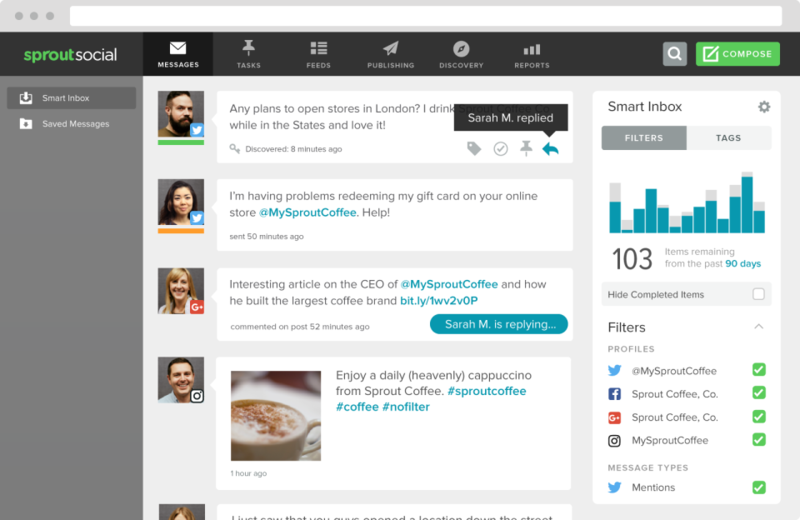 We have taken a look at Sprout Social – another tool, that is often compared with Kontentino. Kontentino was born in a social media agency to speed up the content creation process. It focuses on collaboration, approving, scheduling, publishing and creating reports both internally and with clients. Sprout Social is more complex and it also covers social listening and commenting. It is a powerful tool but also more complicated. Prices of both tools are also very different. Kontentino is less than $10 per user, Sprout social starts at $99 per user. Social inbox: Groups all messages from all your social media profiles in one place, which makes it easier to track all of them and even reply quicker. Social media monitoring: Sprout Social allows you to monitor keywords or hashtags and further work with them. It’s possible to divide them into segments according to the topic and sentiment can also be taken into consideration. Reporting: You can create and export reports from your social media channels to keep track of how they are doing over time. Both tools take on this aspect differently. While Kontentino offers almost all features with all plans, with Sprout Social the higher the plan, the more features are included. Also, the number of users makes a difference. 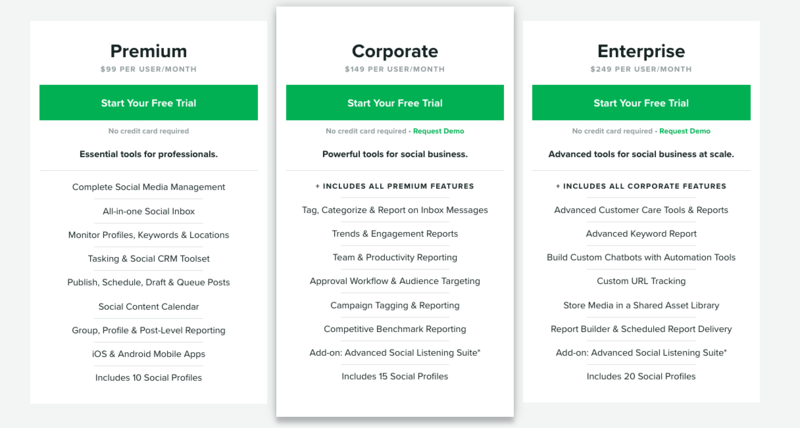 Since Kontentino focuses on collaboration and approval, it’s a given that clients should have access and therefore the cost per user is significantly lower than Sprout Social’s (Kontentino starts at $10 per user, Sprout Social starts at $99 per user and goes up to $249 per user – both prices are monthly). With these two tools, it really depends on the scope of social management work you plan to use it for. If you are planning to cover every aspect of it including listening, customer response etc., Sprout Social is the tool which offers these. Keep in mind, however, that you will ‘pay up’ and its usage will take up quite some time. If you don’t take my words for it, go and try for yourself. You can test Kontentino for 30 days for free. Without the need of a credit card.